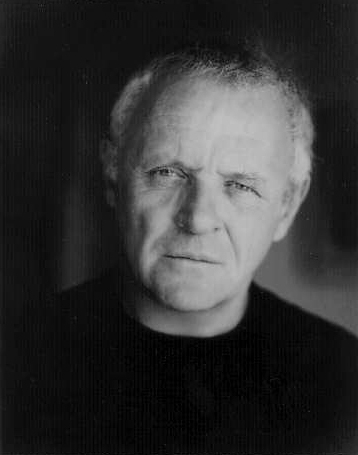 I promised myself when I started building this site that I would stick to the facts and not pour out my heart about what I personally think of the Great Sir Anthony Hopkins. Well, since this is MY web site, I'm going to break my promise to myself for just a moment, and tell you what I think of him. 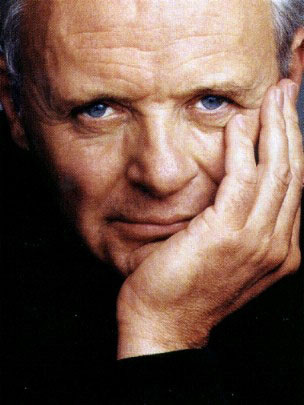 Anthony Hopkins is the greatest actor of all time! He's so wonderful, he's a gentleman, handsome, and great at what he does! I'm only thirteen, so my friends think it's odd that I'm obsessed with a sixty-three year old. I'm not in love, really, he just inspires me. He's my hero! The first movie I saw staring him was "Legends of the fall." My mom's friend had lent it to us to watch, and one day when I had nothing better to do, I sat down and watched the whole thing. It was such a great movie! I must have watched about 300 times more since then. Any ways, last summer my family and I went to Niagara Falls, and my mom and I ended up going through the "Criminals Hall of Fame Wax Museum," on Clifton Hill (If your ever there, it's worth the $3.50) As we were passing through it, my mom stopped in front of a figure and called me over from my spot in front of Norman Bates. 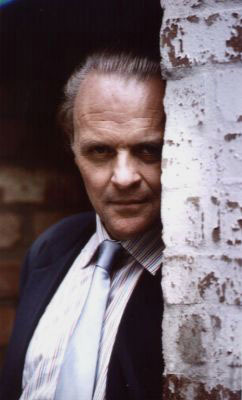 She said that this was Hannibal Lecter, from the movie "the Silence of the Lambs." She mentioned that we should rent it one time. I held her to her word, and one October evening, My friend and I, along with my mom and her friend (this is the same friend that lent us 'legends of the fall,' strangely enough) rented it. This is when I fell in love. He did such a great job portraying his character, I couldn't help but fall in love with the movie, and praise the man who was in it. Since then I have seen "Meet Joe Black" "The Edge" "The Mask of Zorro" "International Velvet" "Hannibal" and "August." They were all great movies!